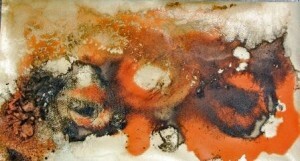 New Scientist has just posted a gallery of some of the microbial art images on their webpage. Click here to see which ones they selected. “We chose to promote the conference with an image that is in some sense itself an example of artificial life: a real organism artificially encouraged to adopt the shape of the host country (plus Ireland). 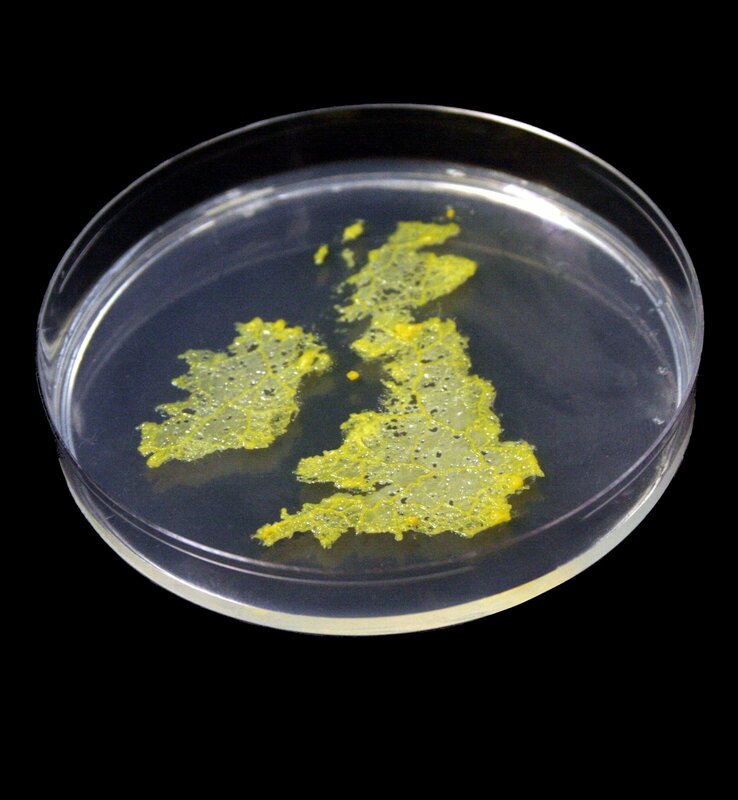 The cover of this proceedings volume features a photograph of a single-cell creature, the slime mould Physarum polycephalum, that was grown over a period of between twelve and twenty-four hours in a petri dish. While we have tidied the image up a little, it is essentially undoctored. 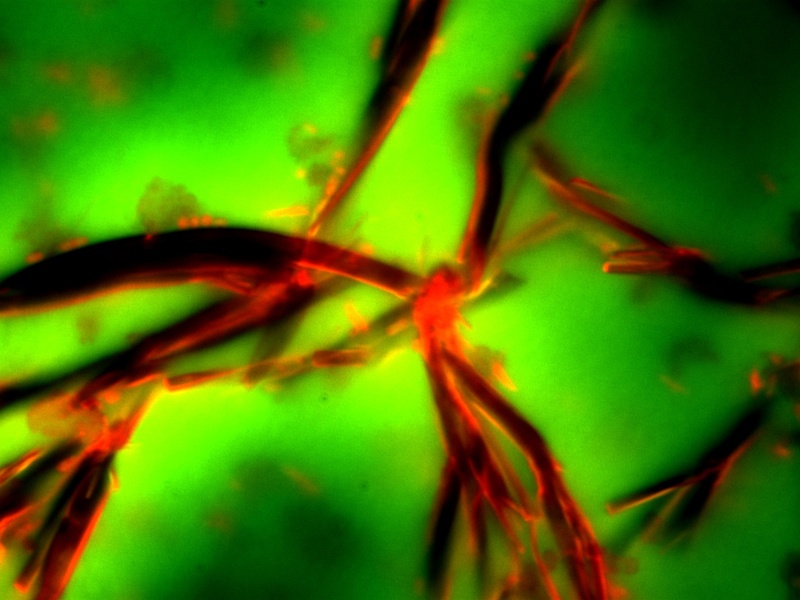 The slime mould was grown by Soichiro Tsuda, and photographed by Soichiro, Nic Geard and Seth Bullock. The initial idea was proposed by Richard Watson during a particularly creative lunch. This post was submitted by Nicholas Geard. Faecal samples have been plated on chromogenic UTI-agar. The large pink colonies are E. coli, the small blue are enterococci and the clear slimy ones are Pseudomonas. 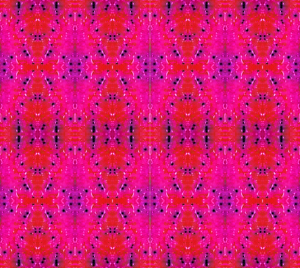 The colours have been manipulated using the freeware GIMP, and then a small square of the large picture have been cut out, multiplied and re-assembled like in a kaleidoscope. This post was submitted by Maria Tarnberg. 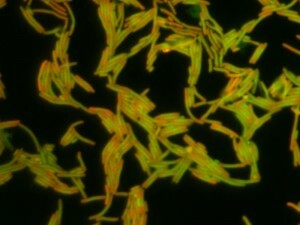 The first two images show the changes that occur when E. coli O157:H7 strains are exposed to sublethal concentrations of the antibiotic ciprofloxacin. 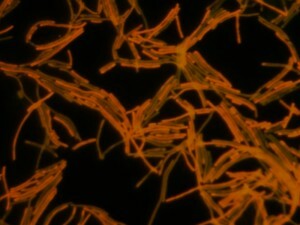 Ciprofloxacin induces cell elongation, also called filamentation. In addition, the cipro causes the bacteria to become more “sticky” and they line up forming interesting patterns, almost woven like a textile. 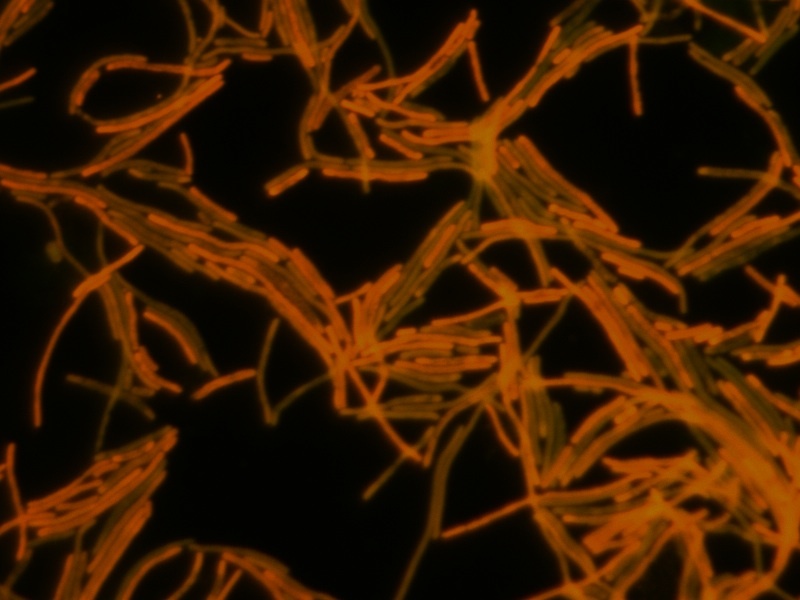 Bacteria were stained with acridine orange stain and photographed by fluorescence at 1000 X magnification. The third image shows EHEC secreted proteins that formed into rope-like structures as the sample dried out slowly under the cover slip. An artifact turned into art work! This post was submitted by John K. Crane, MD, PhD. 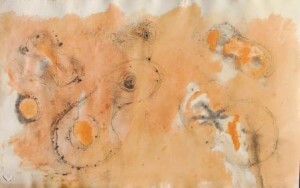 Patrícia Noronha is a visual artist and has a PhD in Biology. Actually she has a post-Doc grant in artistic studies, from FCT, and uses a microbiology laboratory as na art studio at Instituto de Tecnologia Química e Biológica (ITQB), from Universidade Nova de Lisboa. 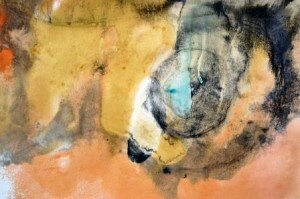 She works with microbial pigments and biofilms as an artistic tool. Biopaintings were obtained by controlling the growth of yeast cells on paper and ensuring the stability of the final results. 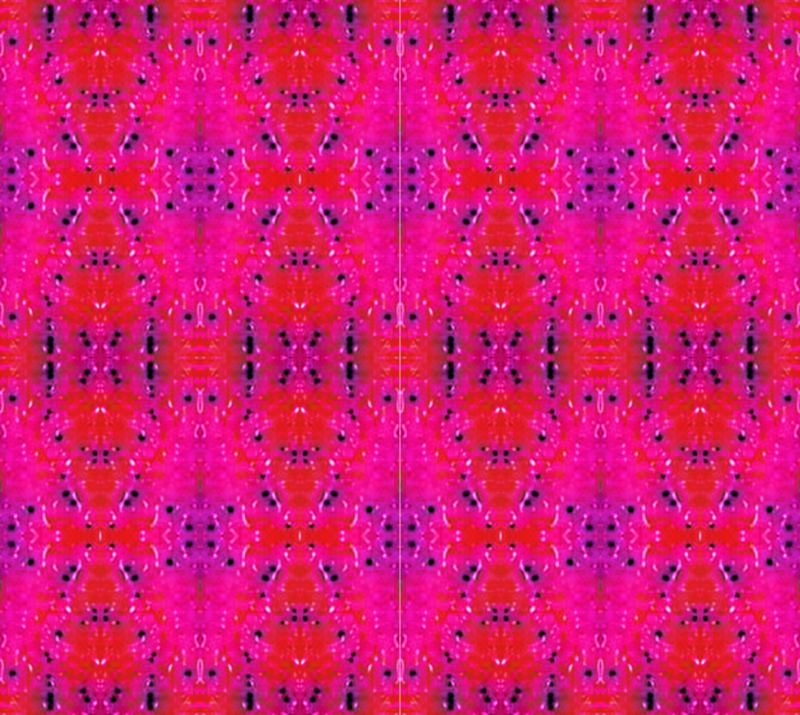 The biopaintings result from the artist´s observation of the interactions between the cells and from the experimentation with their evolving patterns. The often unexpected results are part of the creative process and suggest new ways to be explored. The last image is a live installation at Fundação Calouste Gulbenkian (FCG), Lisbon 2009. This post was submitted by Patrícia Noronha. I am experimenting with a feature to allow visitors to submit their own microbial art. This is still in the test phase, so bear with me. 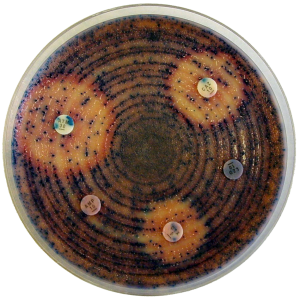 If you have some art to share, feel free to submit it — note that this is fully moderated, and that you should only handle microbes with proper training and in a safe lab environment. And don’t forget to check out the other artwork under More art. 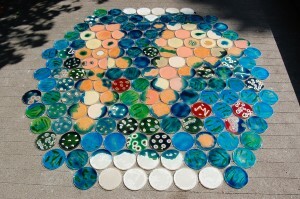 The diversity of uses of microbes in creating art continues to amaze. I am pleased to introduce several more featured artists, including JoWOnder, Heather Barnett, iGEM Team Osaka, and Erno-Erik Raitanen. Niall Hamilton has also contributed even more amazing images, and be sure to see the list of more art that continues to expand. We are pleased to note that several additional artists are now featured on the site, including Dr. Jeff Tabor, Dr. Heather Cole, and Sir Alexander Fleming. Microbial Art is now officially launched (but still under construction).